Ahlstrom, Harold. 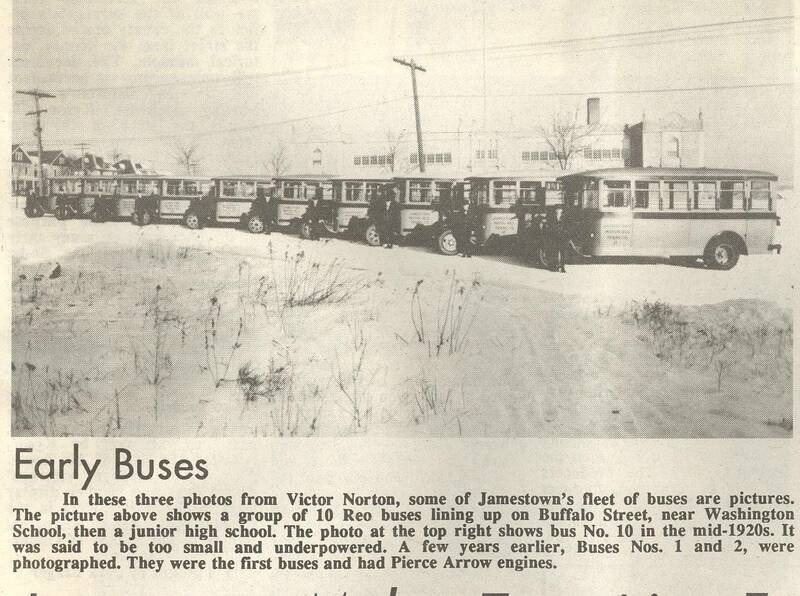 “Jamestown Makes Transition From Trolleys To Buses,” Jamestown (NY) Post-Journal, 18 March 1992, p.2M. The southwest portion of the city of Jamestown was the last area to be developed. It was rather isolated before the West Third Street bridge was built. As to public transit service, the people of the area could walk north to use the Lakewood trolley line on Fairmount Avenue or the Newland loop at Charles Street. The Broadhead interests owned the Jamestown Street Railway, but they decided not to go to the expense of laying tracks and stringing wire in this new residential area. They formed a new company, the Jamestown Motor Bus Transportation Company for the purpose of starting a bus line instead. The first three buses had quite a story. The Pierce-Arrow Company of Buffalo has also built a fine line of trucks. Three chassis were bought. The chassis included the wheels, frame, engine, and controls. They added a wood crate as a driver’s seat and drove the trucks to Cleveland. I once talked with a man that made the trip, and he said it was the worst ride of his life. There was no windshield, and he had to sit on a wood crate with no protection from the weather. 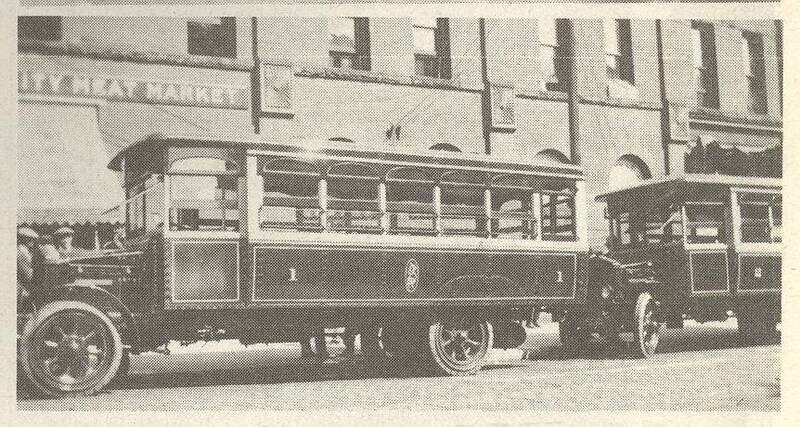 The Kuhlman Car Company of Cleveland, a builder of trolley cars, built the bus bodies to fit the chassis. They came to town numbered 1, 2 and 3 for use on a new west side bus route. Fares, tickets and transfers were integrated with the trolley cars. The new west side route was out West Second Street to Sprague Street, and then in a loop operation on the west side. A few years later, around 1922, bus routes were opened on both the north and south areas to meet the requirements for transportation not covered by the street cars. A group of buses were bought for these routes. They had Dodge engines and bodies by a Wisconsin company. They were not a good bus, underpowered to make them use second gear on the Jamestown hills. They were also very narrow with mostly side seats. 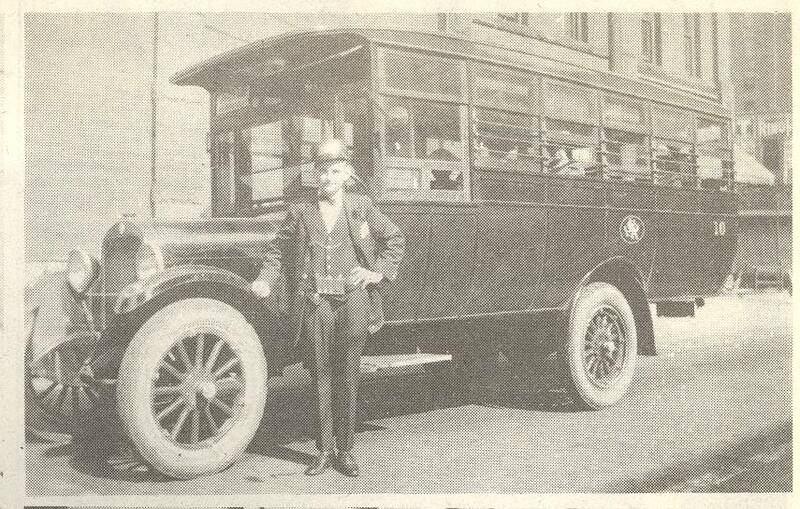 In 1927 a group of Reo buses were acquired, a great improvement with their stronger engines and wide spacious bodies. Suburban lines were opened to Greenhurst and Kiantone. In 1938, the trolley lines were abandoned and Jamestown became an all-bus city.